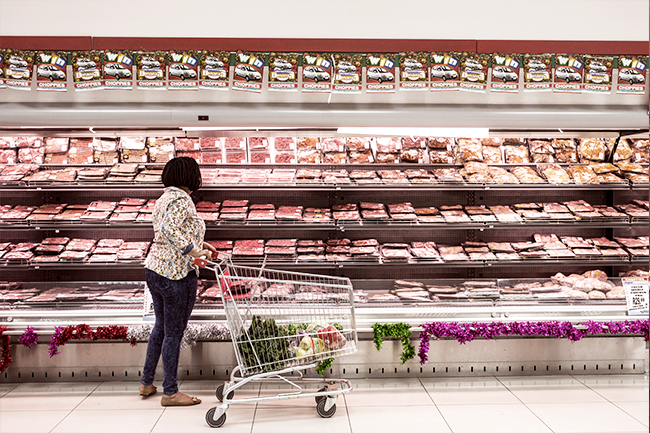 In South Africa, meat costs 20% less than the global average, yet the country’s unskilled labour force generally has to work more hours than their international counterparts in order to afford it. As reported by Fin24, this is according to a study by online caterer Caterwings, which researched the cost of meat (including beef, fish, chicken, pork and lamb) across 50 countries worldwide – and its affordability by minimum wage/unskilled workers. Switzerland has the most expensive meat prices, at 141.9% more than the global average. A kilo of beef leg round costs an average of US$49.68 in Switzerland, meaning unskilled Swiss workers have to work 3.1 hours to afford it. In South Africa, on the other hand, the equivalent meat costs US$6.54, yet unskilled labourers must work 5.9 hours. When it comes to chicken, South Africans earning a minimum wage need to work 3.30 hours, compared to their Danish counterparts who need only work 0.3 hours.